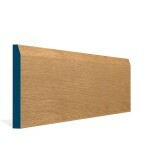 Our Pre-Varnished Solid White Oak comes ready-sanded and varnished for instant fitting. Pre-Varnished solid timber delivers shorter installation time with the unique opportunity to reduce your costs. 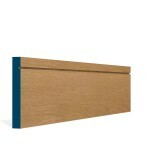 Solid Oak Chamfered oak Architrave packingle Pack contains 5 Lengths (2.13m) 19 × 69MM Pre-Varnished..
Our Oak Skirting Board Pack Contains 5 Lengths (2.4m) of sizes available at 19x119mm, 19x144mm, 19x1.. 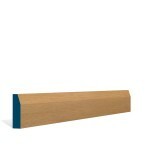 Single Pack contains 5 Lengths (2.13m) 19 × 69 Pre-Varnished Solid White Oak Shaker Architrave .. Single Pack contains 5 Lengths (2.13m) 19 × 69 Pre-Varnished Solid White Oak Ogee Architrave pe.. Pack Contains 5 Lengths (2.4m) of sizes available at 19x119mm, 19x144mm, 19x169mm Pre-Varnished..